The U.S. Department of Energy’s innovation arm wants to disrupt floating offshore wind turbine technology. On February 1, the Advanced Research Projects Agency-Energy (ARPA-E) announced it was making available $28 million in funding for research projects to develop new technologies for floating offshore wind turbines. The funding opportunity falls under a new ARPA-E program called ATLANTIS (Aerodynamic Turbines, Lighter and Afloat, with Nautical Technologies and Integrated Servo-control). “We are trying to find economically attractive solutions for floating offshore wind turbines,” Mario Garcia-Sanz, the ATLANTIS program director, told Greentech Media in an interview. “The current state of the art for FOWT [floating offshore wind turbines] is too massive and expensive for practical deployment. ATLANTIS seeks to design radically new FOWTs,” the ATLANTIS team wrote in a program briefing. According to ARPA-E, nearly 60 percent of the United States’ accessible offshore wind resource, estimated at 25 quads annually, is found in waters more than 200 feet deep — beyond the depth at which fixed-foundation turbines are economical. Last October, GTM reported on projects under development in Portugal and Norway that had tipped the floating offshore wind market closer to commercialization in Europe. Efforts to deploy floating turbines in the United States, where the technology will be necessary to access strong winds found in deep waters offshore the West Coast, lag behind those in Europe. Nevertheless, there is activity underway in the United States. Last April, the Redwood Coast Energy Authority selected a consortium to build an floating offshore wind farm as large as 150 megawatts off the coast of Humboldt County, California. The Castle Wind project proposed for waters in Morro Bay, off California’s Central Coast, would include 100 floating turbines with a total generating capacity of 1,000 megawatts. An R&D push led by ARPA-E could help researchers and project developers in the United States not only close the gap with competitors in Europe (some of which, like the Germany utility EnBW, are looking to collaborate on floating offshore projects in U.S.), but also drive down costs. 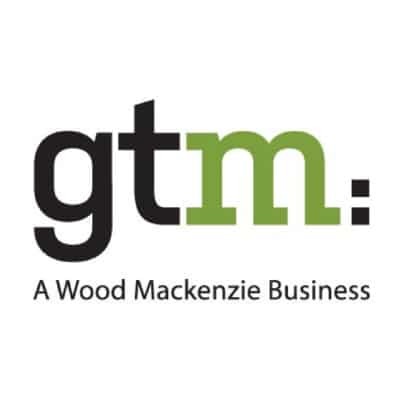 “Funding a serious, near-term R&D effort would help accelerate cost reductions and make the technology feasible on a much larger scale before the end of the decade,” Anthony Logan, a North America wind energy analyst with Wood Mackenzie Power & Renewables, said last month during a roundtable discussion on the Green New Deal convened by GTM. Logan outlined some of the advantages floating projects have over fixed-foundation turbine projects. “A large, multi-gigawatt build-out of floating [turbines] would provide not only higher capacity factors by opening up sites with higher wind speeds in deep water but also mitigate the lack of geographic diversity that will start to hamper the tightly clustered fixed-bottom offshore wind farm plans on the Atlantic Coast,” he said. “There’s a question of quayside space availability, but on the surface, floating wind’s ability to build the entire unit in port and tow it out to sea would go a long way to mitigating the need to dance around Jones Act restrictions on installation vessels,” Logan added. In its guidance to research teams interested in applying for ATLANTIS program funding, ARPA-E encouraged prospective applicants to adopt “control co-design” approaches in their work. Control co-design brings together interdisciplinary teams of engineers and scientists from the start in the hope that such cross-pollinating collaboration will spur creative thinking. “The control co-design approach is completely different. You invite all the engineers to work together in a concurrent way to have a new design, a new solution,” said Garcia-Sanz. Garcia-Sanz said the ATLANTIS program has three research goals: 1) develop “radical” new floating offshore wind turbine designs that maximize the rotor-area-to-weight ratio while maintaining or increasing turbine generation efficiency; 2) build a new generation of computer tools to help simulate and calculate the effectiveness of the new designs; and 3) collect real-world data from existing floating offshore wind turbines to validate new designs. According to Garcia-Sanz, the current $28 million funding opportunity is the first phase of what the ATLANTIS team hopes is a two-phase program. Phase 1 will run for two years. Applicants have until March 18 to submit concept papers outlining their research proposals. Funding announcements are expected by the end of 2019. ARPA-E Commits $28 Million to Develop Advanced Floating Offshore Wind Turbines, by Justin Gerdes, Greentech Media, February 25, 2019. We welcome guest contributor articles to our website and e-newsletters. Please click HERE to read our submission guidelines. Please click HERE to submit. The Clean Power Exchange is a project of the Center for Climate Protection. Sign up for region-specific CCA news.